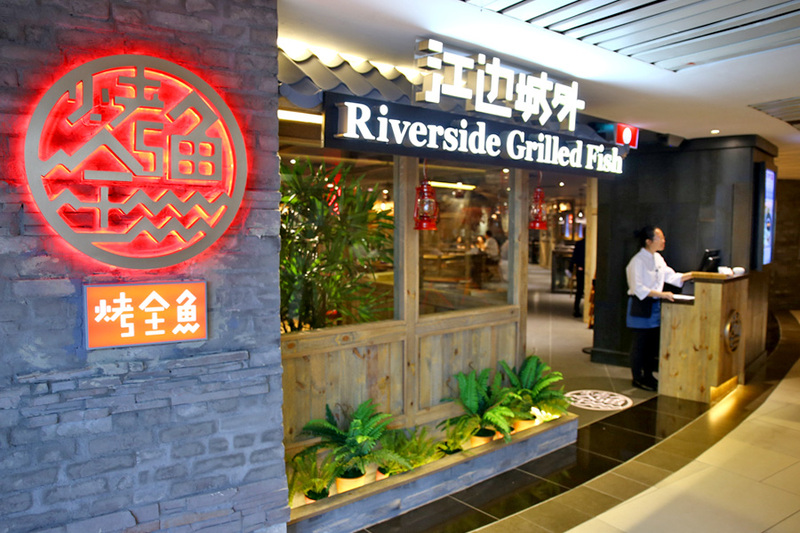 Popular Chinese restaurant Riverside Grilled Fish 江边城外 with 54 outlets in China, has set up its first overseas outpost in Singapore at Raffles City basement (taking over Watami). 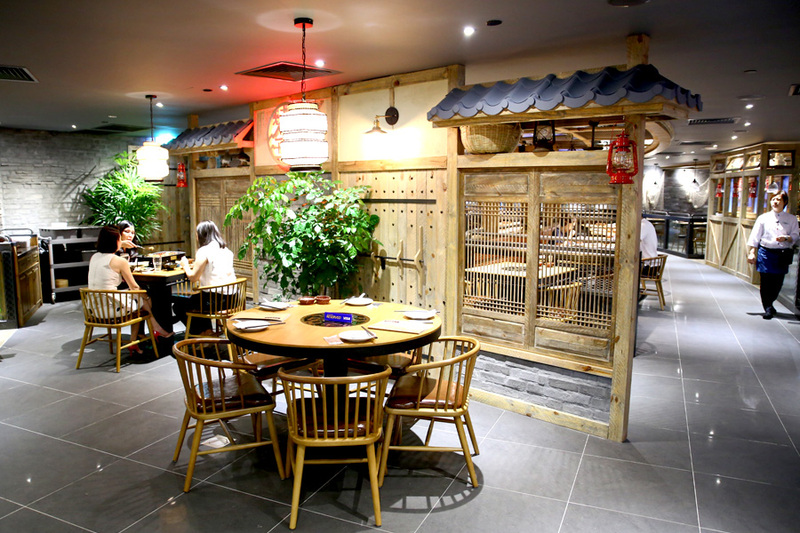 We have seen some famous ‘Made In China’ restaurants arrive in Singapore. Hai Di Lao appears to successful, while some of the rest (9Goubuli, Avenue Joffre, Faigo Hotpot) are still finding a footing. Generally, lots of money ‘thrown’ in ID and furniture, but some restaurants do not carry out even the most basic of marketing. Then question why still so empty. Anyway, there are also some cultural differences in terms of dining habits, which may not suit potentially well in the local market. 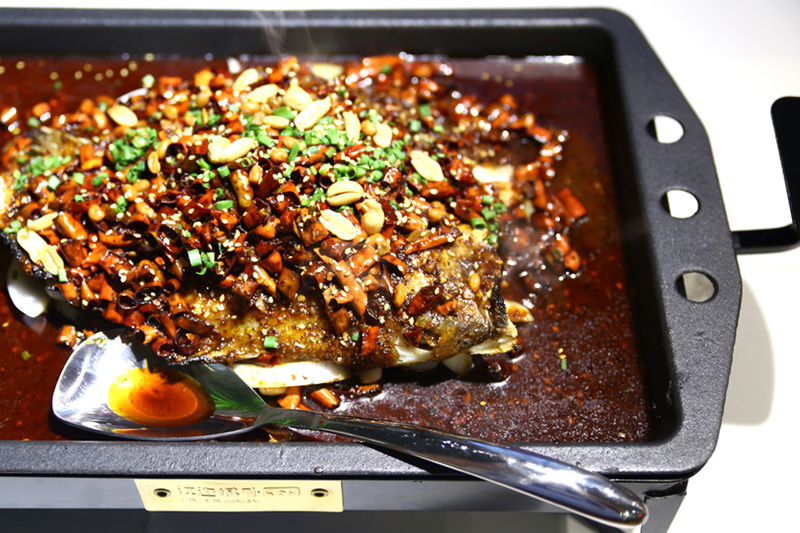 Riverside Grilled Fish was founded in 2005 by two friends who chanced upon the traditional method of grilling fish and topping it off with Ma La sauces while travelling in Wushan Town, Chong Qing. They opened their first shop in Beijing, and snaking long queues became a common sight. 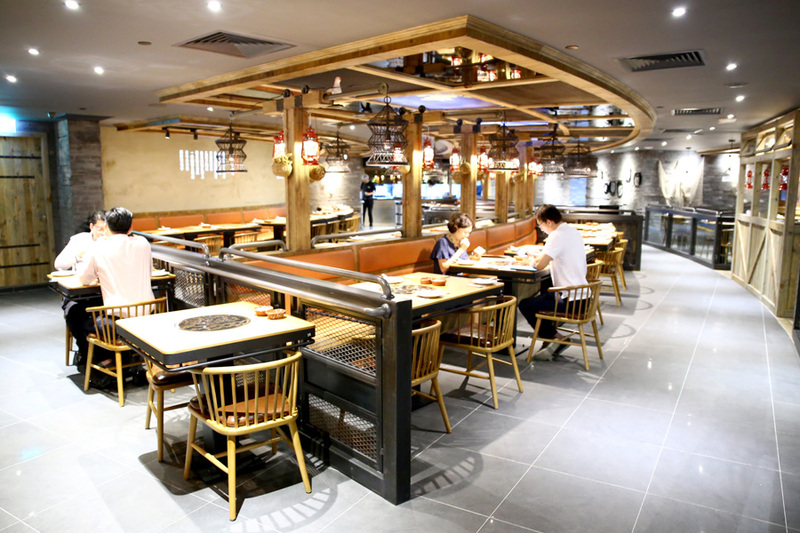 As for the Singapore branch, the interior is HUGE, with a pseudo traditional inn meets oriental restaurant design. 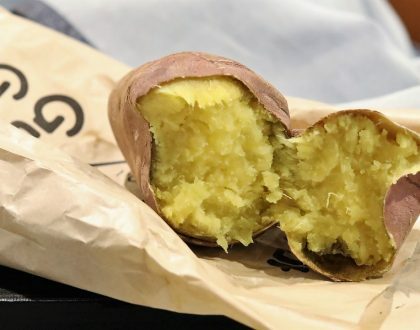 Something like Singapore’s Dian Xiao Er. 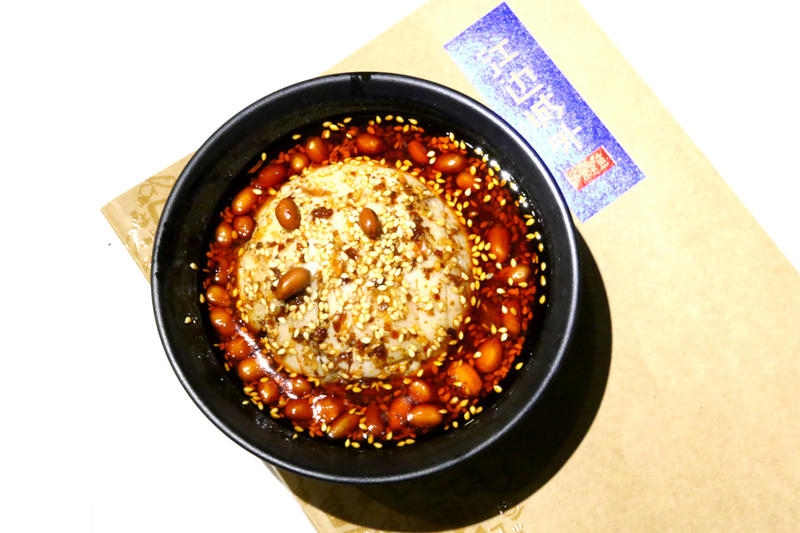 ”服务员，菜单有没有英文版的?” Asking, if there is an English version of the menu. Not that I cannot read, but how about the rest of the ‘jia kan tan’ Singaporeans? 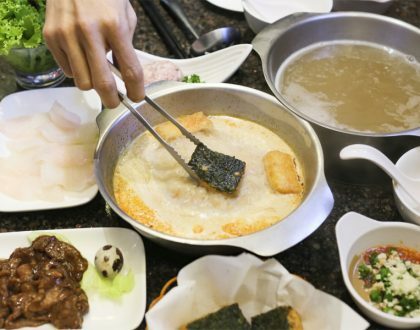 So FYI, the names of the dishes are in English, but the entire description is in Chinese. Remember I talked about adapting to local cultures. But the service was very earnest and waitress was patient enough to explain about their specialities. Here’s how it works: Diners can choose to pair their selected fish –Red Tilapia ($35.00), Sea Bass ($35.00), Black Pomfret ($38.00) or Garoupa ($42.00) with any of the 8 accompanying sauces of their choice. 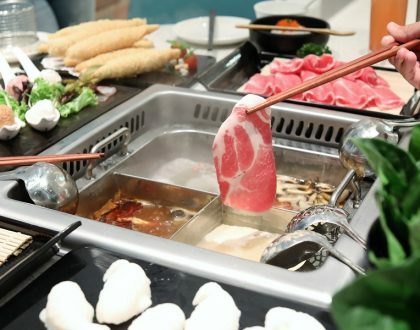 There is also an option of choosing from 18 different types of side dishes including sausages, pork belly, tofu sheets and flat vermicelli to be cooked with their whole grilled fish, all at an additional cost of $2.50 -$4.50 per side dish. 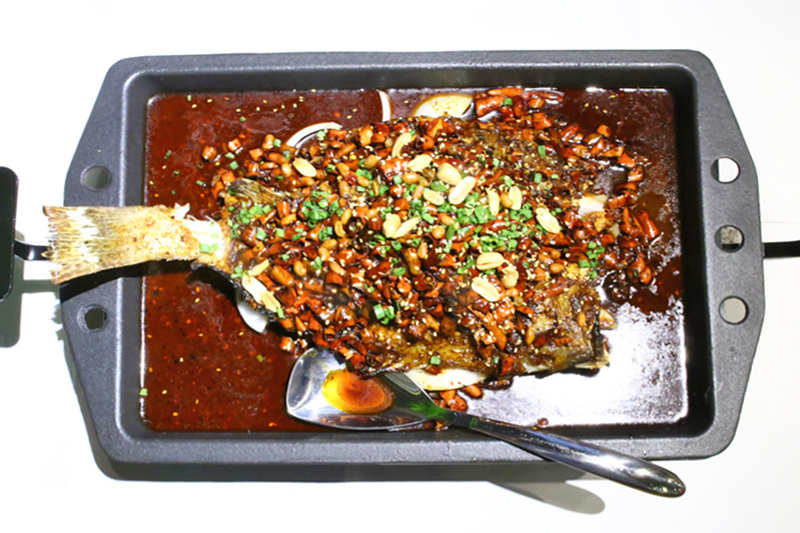 The sauces include the Signature Fragrant Spicy Sauce (spicy and sweet), Black Bean Sauce (non-spicy), Unique (sweet, sour, and mala TOGETHER), and Ma La (intense spicy). I had a Garoupa in the signature sauce, because the waitress said that was the best for first-timers. 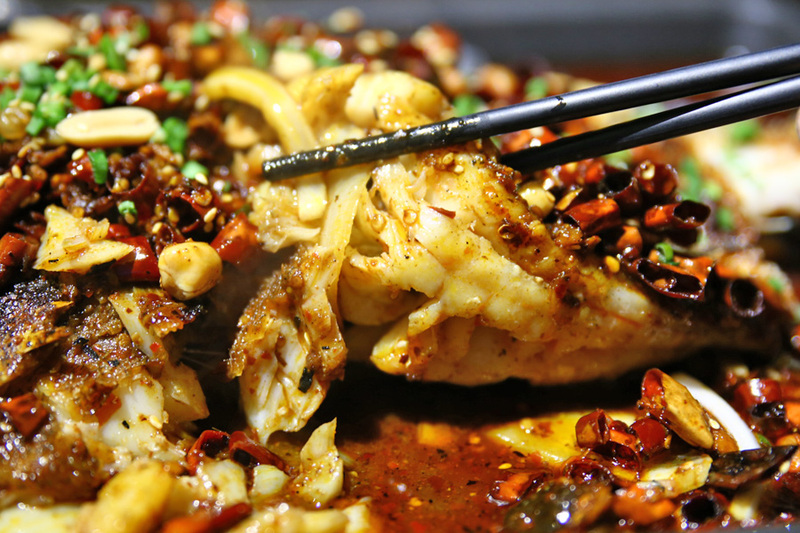 You may call this ‘fish fishing in a river of spicy oil’. 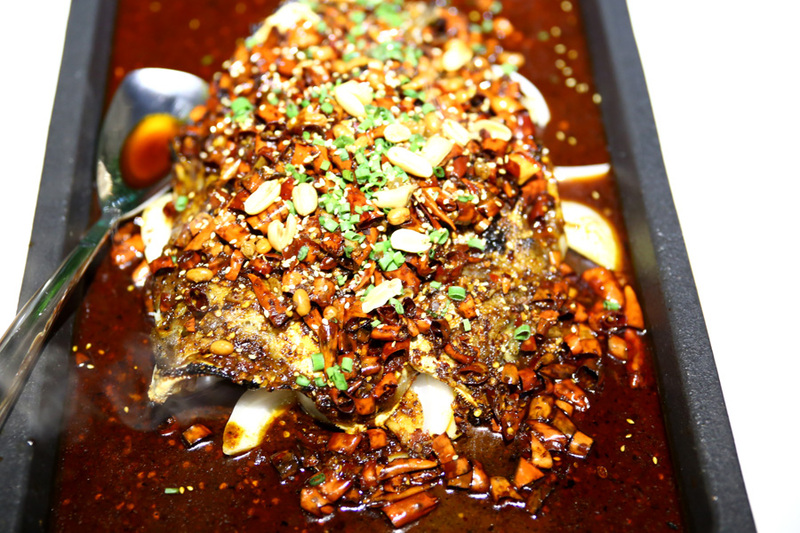 The oil, the saltiness, the fieriness, the presentation reminded me of my meals in Sichuan – just whack. Okay, this wasn’t HOT to the extent that I would tear, but I did finish the entire tumbler of water all on my own. The fish was chunky and fresh, the sauce tasted authentic enough. Though I must encourage you to come with a bigger group to share-share. Any more of the Ma La sauce might have given you the spicy runs (yikes) the next morning, or a headache, depending on your tolerance level.